The Romans forced their peace upon others; they added bread and circus as sweeteners. 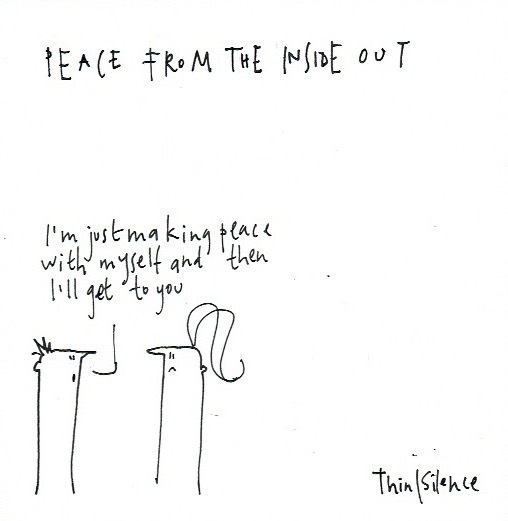 Peace comes from within and can only infuse other lives. It’s harder than we think. Many of us struggle to be at peace with ourselves, there’s always something we want, something we want to change – so we add our sweeteners. We get caught up on the sweeteners rather than the peace which is to be found in the incomplete and imperfect person we are and being able to give to others out of our brokenness far more than we can imagine.